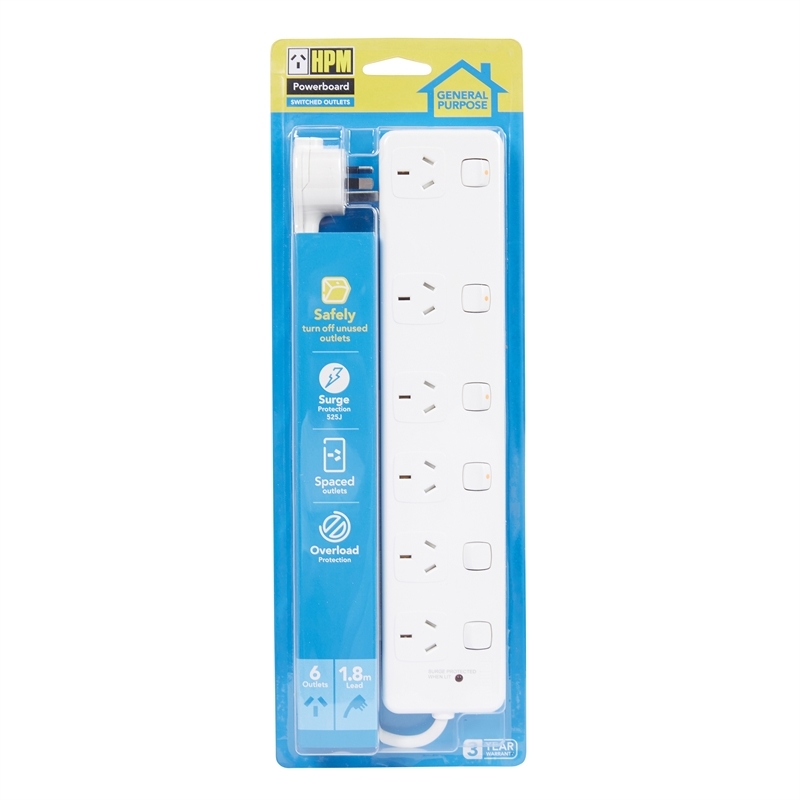 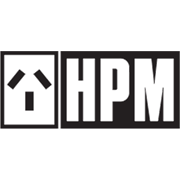 This HPM 10amp powerboard has 6 outlets. 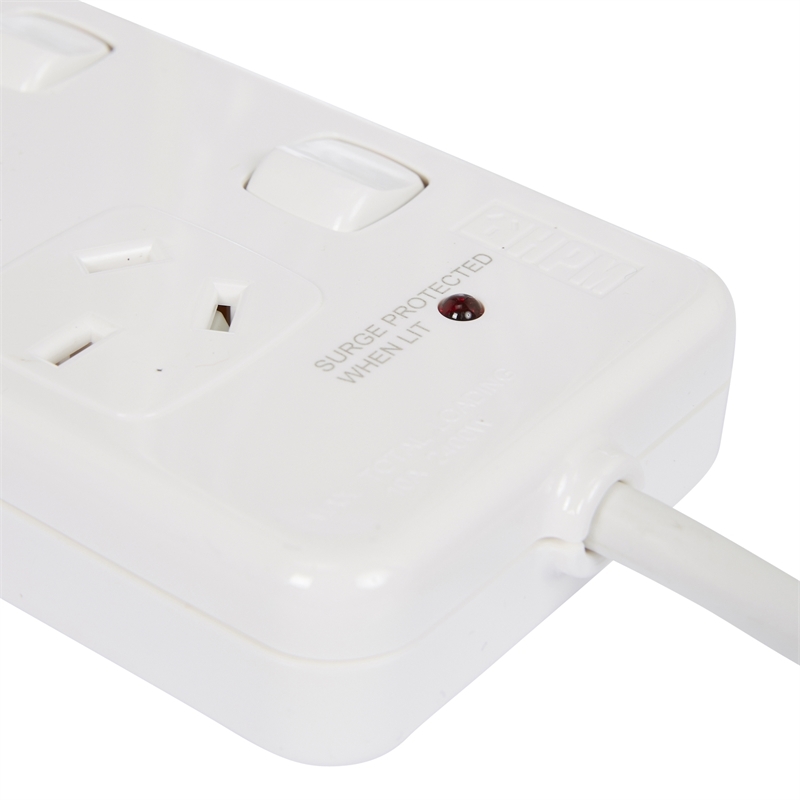 It has serge and overload protection and individually switched to save on power. 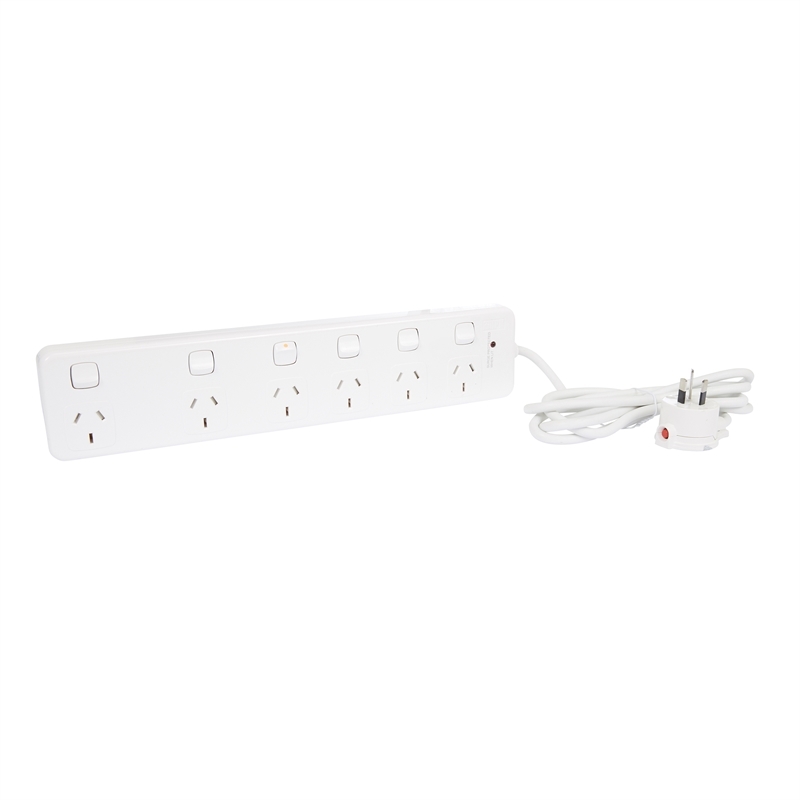 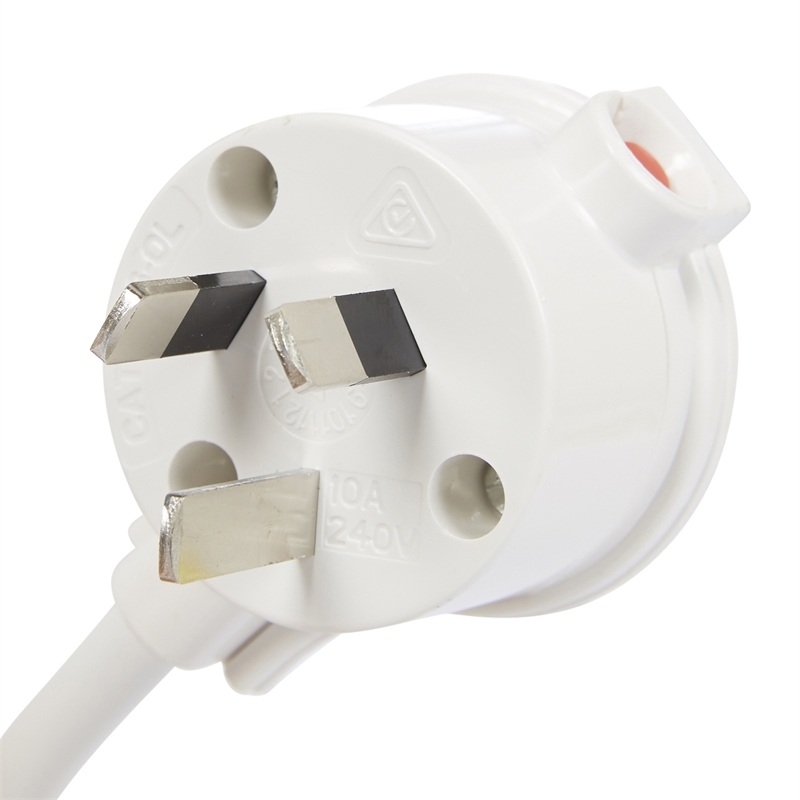 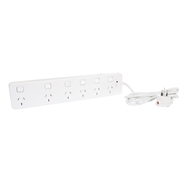 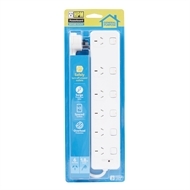 The 1.8m lead allows you to get power to those appliances with shorter power cords.